This is what I've been eating all summer long. 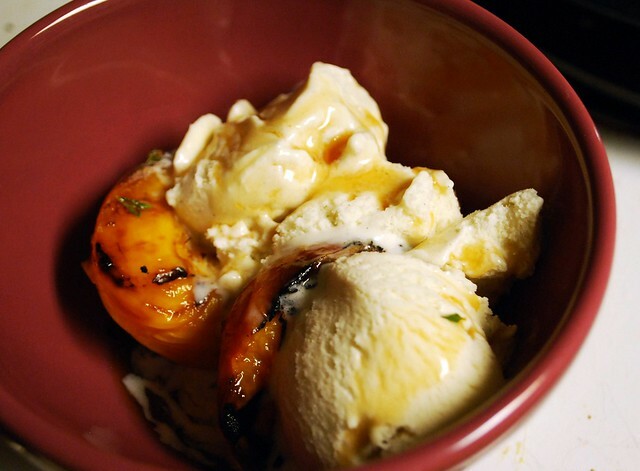 Grilled peaches in booze syrup with ice cream. I make big batches with the intention of having enough for a while but then I eat most of them within a day or two. It's been a good summer for peaches, but because I'm allergic to raw ones I have to cook them, and grilling them is the best. I'd even eat them with a little bit of cream poured over them, but I don't have any. Preheat your grill to medium high heat. Rinse off your peaches and cut them all in half and remove the pit. You can sprinkle a little sugar on the cut sides of the peaches now if you want, but you don't have it. In a little saucepan, combine two parts liquid with one part sugar (as in 1 c wine and 1/2 c sugar) and cook for a few minutes, until all the sugar is dissolved and some of the alcohol is cooked out, depending on what liquid you used. You can do this in the microwave if you want if it's too hot outside to cook. Now that the grill is nice and hot, place the peaches cut side down over the heat and cook for two minutes or so, then flip. Cook the skin side another minute or two, then remove to a bowl. Let the peaches sit for a few minutes and let their juices run out, then dump in the syrup. Serve warm with ice cream! Or eat plain, or with whipped cream. 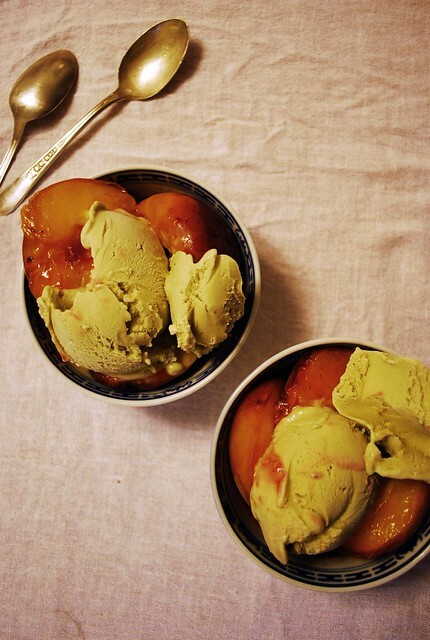 Or with avocado gelato, like in the photo below. 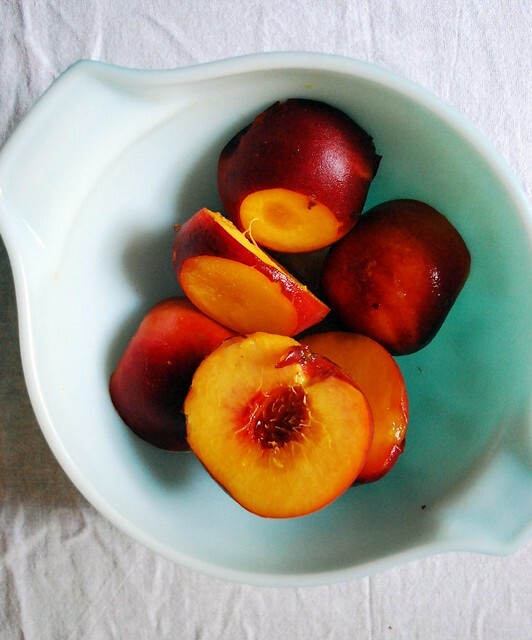 I've never tried grilled peaches before, but these look great! I've got to try these soon. :) Lovely photos!